This is an artist's concept of the fireworks that accompany the birth of a star. 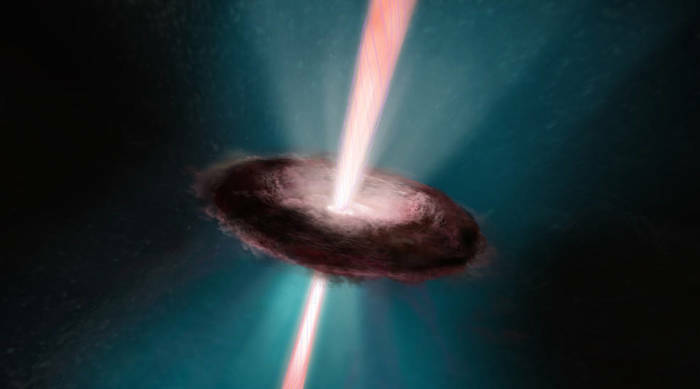 The young stellar object is encircled by a pancake-shaped disk of dust and gas left over from the collapse of the nebula that formed the star. Gas falls onto the newly forming star and is heated to the point that some of it escapes along the star's spin axis. Intertwined by magnetic fields, the bipolar jets blast into space at over 100,000 miles per hour. 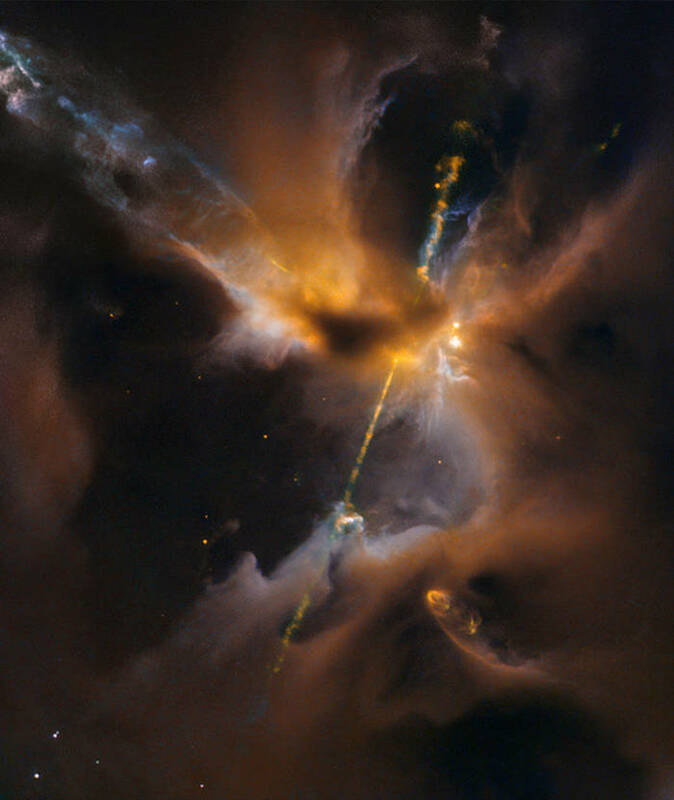 As seen from far away, they resemble a double-bladed lightsaber from the Star Wars film series.